You can either study a language all by yourself, or pay someone to guide you and a group of people in this process. Regardless of the chosen form of learning, there always comes an ultimate moment of truth: using the language in its spoken, interactive, social-based form. The need of achieving this goal becomes even more urgent once you are no longer progressing from having conversations with other students of the same language. While watching movies and TV series outside of the course is certainly going to make the input of the spoken language easier for you, it won’t probably affect your output performance. And until comes a time of perfectly programmed and usable artificial intelligence devices for language learners, you are most likely left with no other choice than finding a living, breathing and thinking conversation mate. The ultimate goal here is to make your spoken performance more authentic and natural sounding, all thanks to interacting with a native speaker. Once you succeed in finding the right person for this journey, you can even start thinking about setting even more ambitious goals, such as gaining new friendships and expressing your emotions in the target language. If sharing emotions is not necessarily your thing, better keep in mind that being able to communicate and have a verbal impact on someone is often thought to be the main principle of a successful language learning process. You learn to express, to impress, to inform; basically exchange thoughts with another human being (often a representative of a totally different cultural context). One way or another, you have to set your expectations right. But the main question is – are you even allowed to have them? How do you find a native speaker who’s going to keep in touch with you for longer than one evening? Needless to say, if it wasn’t for the Internet and the possibilities that it brings, globalisation would probably be a much slower process than it is today. Travelling to distant lands seems to be priceless in terms of meeting new cultures and people that can make us understand them – but as we all know – it can get pricey, as well as energy and time consuming, and most people are simply not able to go around the world – even if that’s what they dream of. That’s why there’s only one place you have to be – online. Most people’s first step is to google websites or social networks that are strictly focused on language exchange. Interpals.net is a widely known example of such place. *NOTE* Everything written underneath is an expression of my own thoughts, opinions and subjective experiences related to Interpals.net. However, I’ll try my best to point out both dangers and advantages that come with it. I wish it was that simple, but it hardly ever is. 1. Not all users are people you’d find worth talking to. Most of them won’t message you at all, and those who will are often intruders, naggers or people unable to hold a decent conversation. A friendship doesn’t just pop up at the very first try. 2. Even though Interpals is not a dating website, people tend to fall for the same unrealistic expectations, not really regarding romantic relationships as much as just hoping to find a perfect friendship match. 3. The reality of Interpals is somewhat similar to making friends at those summer camps you used to attend when you were a child. Entering a penpal website, you feel almost obliged to start chatting with someone right away, just so that you are not alone. Later on, you may find it quite awkward to continue being around that person till the end of the “camp”. 1. Just the way in which Interpals expects you to make friends is highly unnatural – even for the reality of Internet communication. 2. If you are a native English speaker, your “popularity” considering the cultural exchange will be way higher than other nations. Same goes with each language that is ‘hyped’ enough at the moment – the best match is usually someone Korean or Japanese exchanging their knowledge with someone from an English speaking country. 3. The creators of Interpals.net try to keep the conversations between users within the website’s own inbox. Bringing the conversation outside of the network is discouraged, and people really have to be determined about keeping contact via other channels of communication (facebook, e-mail, phone). If you’d rather keep it casual, good luck with remembering about checking your interpals inbox regularly. I’d forget about it right away. 4. Some guys are there just to hit on gals. Simple as that. I personally failed there twice. First time, when I send more or less 20 messages to randomly picked Swedes asking them to help me start having simple conversations in their native language. Only one person wrote back, and even though we still wish each other happy birthday on Facebook, we stopped talking after a few (awfully simple and therefore probably tiring for him) conversations. My second fail wasn’t really my fault – at least not in terms of my poor language skills. Surprisingly, an American guy answered positively to my willingness to discuss the newest album of my favourite rock band. I decided to send him my detailed, 10,000-character review. I still can’t understand why he never replied. IF NOT INTERPALS, THEN WHAT? I would rather recommend looking after internet forums of all sorts: the main goal here is to find a foreign community (speaking your target language) but focused on something you are REALLY passionate about. It could be anything: a discussion board for Norwegian anglers, an Italian chat for football lovers, an online network of Czech housewives… and so on). My English would never be so good if it wasn’t for last.fm – a social network for music lovers – and the amazing people I met there. CAN INTERPALS EVER BE USEFUL? Absolutely yes. It just takes determination not to be discouraged by trying over and over to find the right person to chat with. But for those who are not quite sure of their abilities it’s probably better to stay within those laid-back and not-so-deep relationships. It takes a lot of stress for a beginner to keep a conversation in their second language – so it’s better to do it as anonymously and casually as possible. Saving the best for last, I’d like to introduce you to one of my favourite language websites which perfectly combines two absolutely crucial features: educational and social. Welcome to lang-8.com, where you can become a teacher, a corrector, a reviewer, a discussion partner – and lastly, but not leastly – a friend. Lang-8.com is based on a selfless act of language help – first you set up a completely free account to gain an opportunity to post journal entries in whatever language you want to learn. Then you wait for a correction (or a few corrections) made by a native speaker (or speakers) of your target language. Meanwhile, you can return the favour to someone else – there is always a hobbyist that wants to improve their writing, no matter if it’s in English, Catalan, Finnish, Hindi or Korean. You are also able to share your interests, which is the best possible way to grab someone’s attention for a (possibly) long-term comments/letters/PMs or e-mails exchange. Whoever dreams about being a teacher of some sort, will find loads of joy and pleasure in correcting other people’s texts, explaining them either grammar or vocabulary issues they should work on. While this is obviously not a professional kind of tutoring (unless that is your real life occupation), most of the advice and tips given by lang-8 users look professional and reliable. Lang-8, in comparison to Interpals, has also provided me with much more interesting conversation partners, both English and Swedish speaking. Not sure what exactly is the case here – maybe the corrected entries themselves are interesting enough to be a good conversation starter – depending on what you write them about, of course. What are the real chances of having our journal entry corrected by others? Are some languages more popular, or certain nations more helpful? It may sound surprising, but there are a lot of people keen on actively learning Polish. These are mostly East Slavic nations, as well as… the Japanese! People from the far East seem to obsessively love Chopin and present quite an impressive attitude. Poles, obviously charmed by all of this, are super helpful with correcting entries written in their mother tongue. Being personally interested in Swedish, I seem to have it a little bit more tough, but still manageable. It usually takes around 24h to receive feedback on my writing from native Swedes. To sum up: lang-8 seems to be the easiest and fastest way to reach foreigners that are enthusiastic enough to help you with learning their native language. It’s a community based on people passionate about spreading and sharing their cultural heritage; open-minded and patient towards everyone. My suggestion is not only to use lang-8, but also any other website that meets your expectations. It’s good to follow people’s recommendations, as long as it results in your own noticeable progress that you can be proud of. (1) At least 95% of people I contact on InterPals write me back!!! Mostly, I talk to native speakers of the Spanish Language from Colombia and other countries of the Latin America and they always reply to my messages (in Spanish). Well, I must admit that US girls sometimes do not reply, but many actually do and most of them are able ‘to hold a decent conversation’ with me, although I’m not sure what you mean by ‘decent’ (see, 2). If you’re looking for a native speaker of English who will almost certainly respond to your message, write to someone from any of the English-speaking islands of the Caribbean Sea or from Guyana! (2) I’d say that InterPals is in fact a kind of a dating site. Click on “Edit Profile” and you’ll find six options: Looking for: (1) Email Pen Pals, (2) Snail Mail Pen Pals, (3) Language Exchange, (4) Friendship, (5) Romance / Flirting, (6) A Relationship. There’s little about language exchange…, at least little said explicitly. 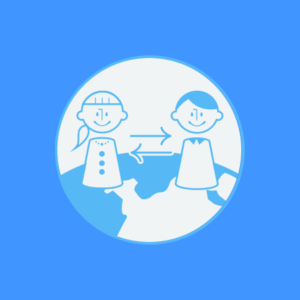 InterPals is merely a site where you can make “international friends”, no matter whether you want to (a) improve your language skills or (b) you simply want to have friends “all over the world” as many claims or (c) in a specific country you’re interested in, or you want to visit. (3) I’m surprised to hear that ‘bringing the conversation outside of the network is discouraged, and people really have to be determined about keeping contact via other channels of communication (facebook, e-mail, phone)’. I never have more than one chat in the website’s own inbox. People normally ask me for my WhatsApp, Skype, FaceBook, etc., and we no longer communicate via InterPals. Moreover, contact via email is expliclity encouraged by the site administration (see, 2). (4) I’ve made some long-lasting friendships via interpals.net and other sites of this kind, as e.g. polyglotclub.com. But, how many friends can a human being have? Talking everyday or at least once a week to more than three different persons gets difficult. The more friends you have, the more superficial your friendships are.